November | 2015 | Be the One. I always appreciate the opportunity to travel, meet new people, and learn something new, and that is exactly what I got to do while attending the Agriculture Future of America Conference. 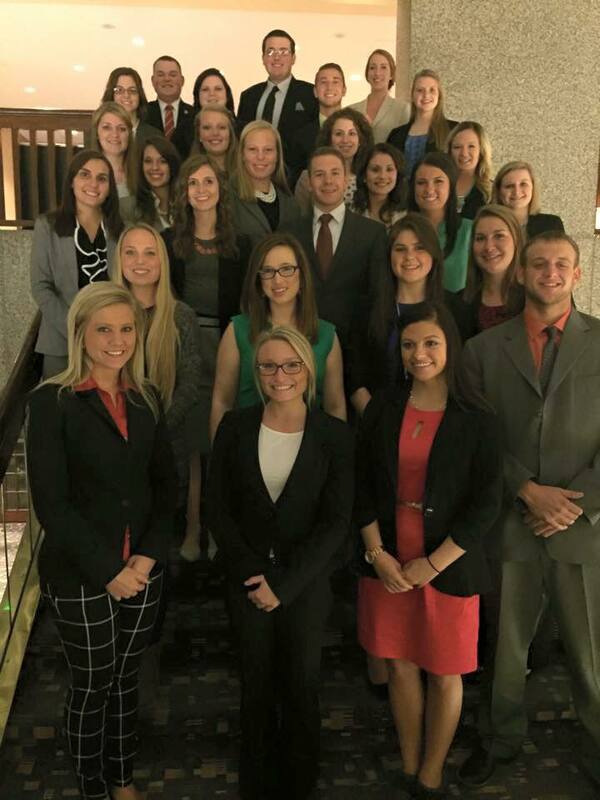 Each year students from Ohio State apply to attend AFA, an intensive leadership conference held in Kansas City, Missouri. The conference’s goal is to allow every student that attends to learn something completely new about themselves and how to become a better leader, so that students can continue to build on their skills sets until they graduate from their respected university. This goal is accomplished by breaking up all the students into four different tracks, where each track focuses on a different leadership skill set. Each track has students from universities from all over the country, which allows Ohio State students to interact with other students with the same interest from all over the United States. I had the opportunity to participate in track one, in my track we discussed the importance of networking, managing our time, dining etiquette, and how to keep all of our thoughts positive and innovating. It was very important for all AFA participates to know how to be professional while networking because of the four hundred company executives and representatives that were in attendance and interacting with us at all times. 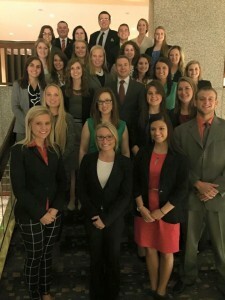 With having so many networking opportunities available, a lot of business cards were exchanged and internships offered while in Kansas City for those four short days. While at the conference we had to take advantage of every second that we were given, so for us that meant early mornings, late nights, and lots of learning in short periods of time. Time management was a lesson that was talked about, and acted upon while at the conference so that we could get the most from our experience. From the amazing four course meals that were consistently served, to meeting new people, and reconnecting with friends from the past, my AFA Conference experience was one like no other experience I have ever had. I was once told that leadership is not a destination, it is a journey, and I feel that the AFA Conference has made a huge impact in my leadership journey. 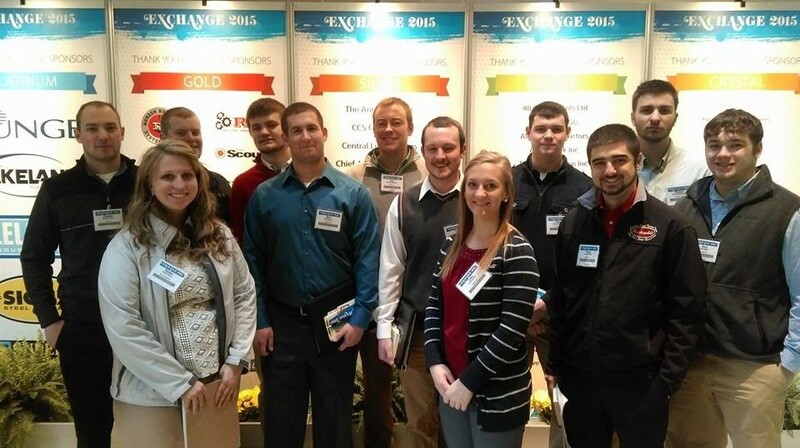 This past February, 12 student leaders from The Ohio State University Agricultural Systems Management Club had the opportunity to attend the annual Grain Elevator and Processing Society (GEAPS) Exchange in St. Louis, Missouri. The GEAPS Exchange is the largest conference for grain handling and processing. This was a great opportunity for students to make industry connections, to learn about new and upcoming technologies and practices from across the grain handling industry. Fellow classmate and friend Ryan Riddle and I planned and organized the logistics for the trip to St. Louis; everything from hotels to rental cars to registration to tour stops. Along the way, we set up tours with Consolidated Grain & Barge (CGB) Enterprises in Jeffersonville, Indiana, Archer Daniels Midland (ADM) Company and Anheuser Busch Brewing Company in St. Louis, Missouri. The tours really helped students receive a thorough overview of the grain handling industry. For some, this was the first time visiting a barge terminal facility or a facility larger than their local country elevator. Since we were in St. Louis, we also journeyed 630 feet up to the top of the Gateway Arch! The highlight of the trip for me was the Student Day at the Exchange. We had the opportunity to visit the trade show, meet and interact with grain industry professionals, and industry suppliers in many facets of the industry. We participated in round table discussions with professionals from several major grain companies, where we could ask questions about the industry, learn about internship/career opportunities and network with other student attendees with similar interests. Not only was this a rewarding experience for me but an invaluable experience for all who attended. Eight of the 2015 attendees, including myself, are now pursuing grain handling careers. 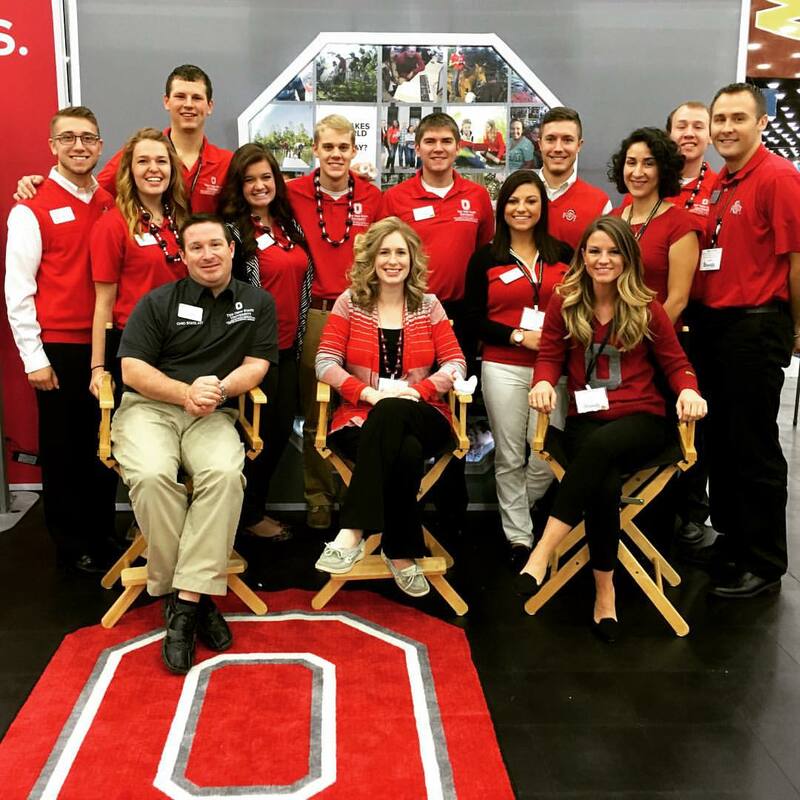 In 2016, the GEAPS Exchange is in Austin, Texas and The Ohio State University Agricultural Systems Management Club will be there! My first week at Ohio State ATI, I couldn’t remember a single person’s name. Every time I met someone new, they were introduced by their nickname. Coming from a graduating class of almost 700 students, I thought I was good at putting a name to a face after meeting a person only once. 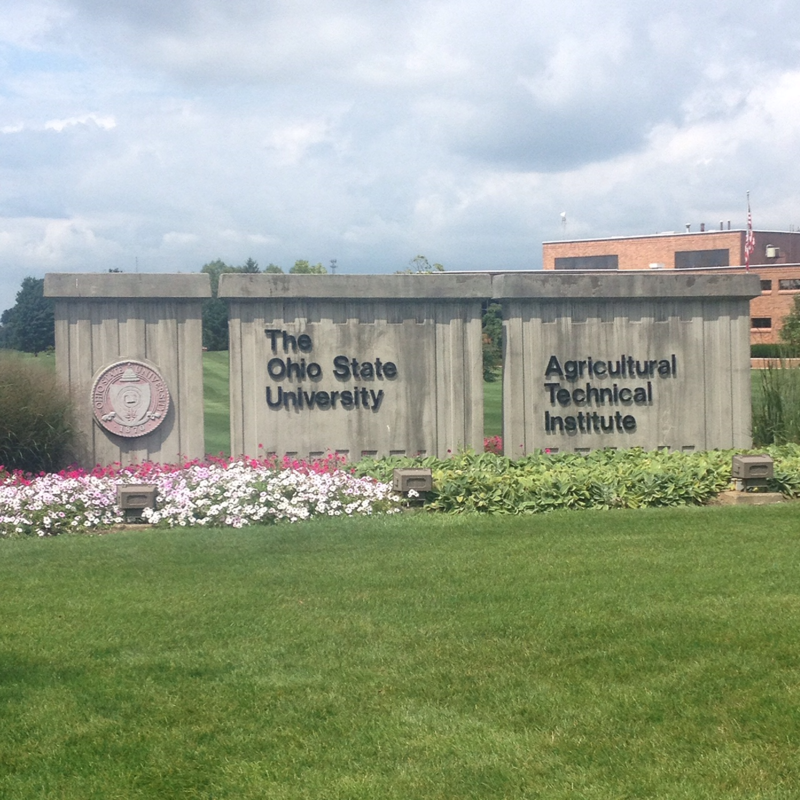 After coming to Ohio State ATI, I realized that you remember people because they left you with an impression worth remembering. 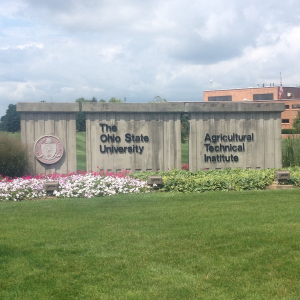 Ohio State ATI is an entirely different world, it incorporates the feeling of both the small-town and big-city America, all in a little village we call Applewood. The cliche saying of “don’t judge a book by its cover” has never been more true. My freshman year, I had three resident advisers, and if you would’ve asked me then I wouldn’t have been able to tell you that one of them would become my best friend. She had purple hair, and was the tiniest person with the biggest personality. The second week of school I finally talked to her in person at a school bonfire. I thought she was one of the strangest people I had ever met and I was nervous to even talk to her, until she tweeted at me and told me I was one of the funniest people she knew. I knew right then we were destined to be friends. That is exactly how life works sometimes, one day you see someone acting goofy, and the next day you realize you have more in common than anyone you’ve ever met. Why judge someone when you can experience everything that makes them great instead? That purple headed RA has taught me more lessons here and in life than any class I could take. 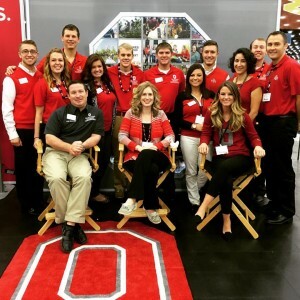 Ohio State ATI will teach you to step out of your comfort zone. Whether that means breaking down and asking for help, only to find out you had more people there for you than you imagined, or realizing that sometimes people will hurt you, and it’s in those times you find your true strength. It’s not all about cow anatomy and crop health here, although this place will teach you to be the best in agriculture, this school gives you lessons in life. We might be a bunch of down home farm kids, but here, we get to view the world through a lens that maybe people will never understand. This small school in an Amish town will make you grow and become a better person, and you might just be knee deep in cow crap when it happens. As students in the College of Food, Agricultural, and Environmental Sciences we are fortunate to have a Dean who loves to interact with students. On November 6th many students had such an opportunity. 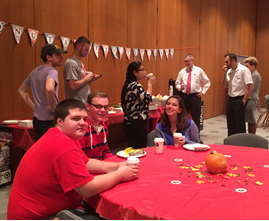 The morning began with a CFAES Student Council sponsored “Donuts with the Dean”. For an hour and half Dean McPheron gathered and talked with students, staff, and faculty as everyone began their day. Later that evening, students who are members of the CFAES Ambassador Team, MANNRS, and the CFAES Student Council were welcomed to the home of Dean and Mrs. McPheron for a “Dinner with the Dean”. The dinner was an opportunity for students to have personal conversations with Dean McPheron and each other in an informal setting. Toward the end of the evening Dr. McPheron addressed students thanking them for their hard work both in and out of the classroom. It also provided students an opportunity to thank the Dean for his hard work and care for students. CFAES is lucky to have a dean who makes it a priority to interact and get to know students. Thank you Dean McPheron! There are many reasons I look forward to attending the National FFA Convention & Expo each year. I enjoy seeing blue jackets swarm in from all over the country, taking in the energy that floods the convention hall and reconnecting with old friends. But the one thing that makes attending convention each year something I look forward to is simple – the people. It is definitely people who make National FFA Convention great and this year I was lucky to spend it with some pretty great people. Some of the people I spent most of my time with were members of the CFAES Ambassador Team. Together we spent Wednesday, Thursday and Friday of Convention working in the Ohio State CFAES booth talking with FFA members as perspective student to our college. Students were able to participate in science experiments and make buckeye key chains (I had to explain what a buckeye was to a student from Georgia…something I never thought I would have to do!). The coolest part about being in the OSU booth was having the opportunity to chat face to face with students from literally all over the country about why I love Ohio State and what our college has to offer students. Convention is not only a time to reconnect with old friends, but also to meet new people, too. It was such a great surprise to see Chris Soules, an Iowa farmer who recently starred as the Bachelor on the ABC television show, was at the Monsanto booth! Even though he forgot to bring me a rose I was still so excited to finally meet Prince Farming.